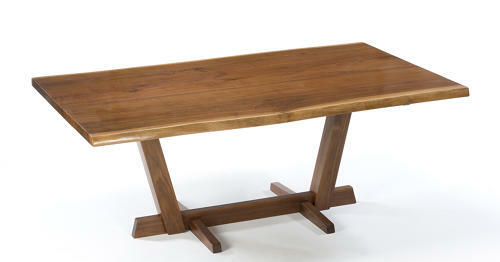 This is a stricking addition to out range, made from solid walnut. The top itself is made from wide boards without removing the natural waney edge. This results in a truly unique contemporary table, with every one different depending on the curvature of the tree. This table can also be made in solid oak.